One of the highlights of my reign was getting to appear on the talk show, Women Everywhere, with host Jegie Carrera. It was a great opportunity and I learned a lot about how radio shows are broadcasted. Best of all it was FUN! Read more and watch us talk about teen issues, pageantry, modeling, charity work, and representing the Miss United States Organization. I’m beyond excited to be walking for the 2015 Haiti Fashion Week Preview, as they hit the Chicago runway for the VERY first time. Please save the date and come out for an exciting time. Fashion Focus CHICago will shine a spotlight on the windy city’s fashion industry with a huge celebration! One day I’d love to travel to Haiti for Fashion Week. The 4th Edition Haiti Fashion Week 2015 in Port-au-Prince has been announced. The theme for the week is Nourrir Haïti (Nurture Haiti). Visit the Haiti Sentinel for dates. Haitian top designers have been invited to preview during Fashion Focus CHICago, the City of Chicago’s celebration of fashion, with a goal to showcase beautiful designs and educate the audience about Haitian culture and art through 500 years. Haiti Fashion Week will host a runway and selling event with its top designers. The “Our Fashion, Our Heritage” theme will cover 500 years of Haiti’s existence with a modern twist to appeal to a 21st century audience. The shopping event is free and general admission for the runway event is $15. VIP tickets are $25 and includes a swag bag. Visit fashionfocuschicago.org. Learn more about the other highlights via Fashion Studio Magazine, including: Youth-based professional development workshops with Latino Fashion Week; Style Bias, a runway program presented through a collaboration with YOUmedia, Commonwealth and Donda’s House; and showcases by African Fashion Week Chicago, NEXT Fashion Chicago, StyleChicago.com and Haiti Fashion Week. I'm really happy that you decided to visit my blog and follow my journey. I'm beyond excited about making a difference in the world. Inspiring my peers to help end hunger and childhood obesity is my mission. Please feel free to leave a comment and I will get right back to you. We are living through giving, come join us! Fairdale mother of 4 was brave enough to save her entire family. One of many homes scheduled to be torn down. Thank you for following my journey. You are appreciated! Fairdale, Illinois birthday girl checking out her gift. It’s official, I’m a 2015 Maash Boutique Maashionista! Fairdale, Illinois family helps us carry our donations in their red wagon. Walking door to door sharing donations was a great experience. We love Fairdale, Illinois. Fairdale, Illinois family was able to save the pet goat. ChiArts High School of Performing Arts participating in #DayOfSilence. Fairdale, Illinois cat found hiding. We hope he was captured before the demolition. Thank you to letter carriers like Mr. Evans and the Stamp Out Hunger volunteers. Loading up the USPS van with our food drive donations. I owe much appreciation to my interview and platform coaches Mrs. Kimberly Triani and Mrs. Sarah Glitzer! I was able to capture the award of Best Interview in all divisions of the Pageant! 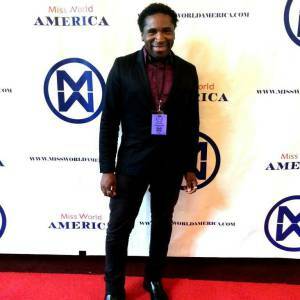 Honored to walk in the Haiti Fashion Week 2015 Preview at Fashion Focus CHICago! Team Illinois Teens appearing on Women Everywhere with host Jegie Carrera and Director Derrick Lee to talk teen issues.